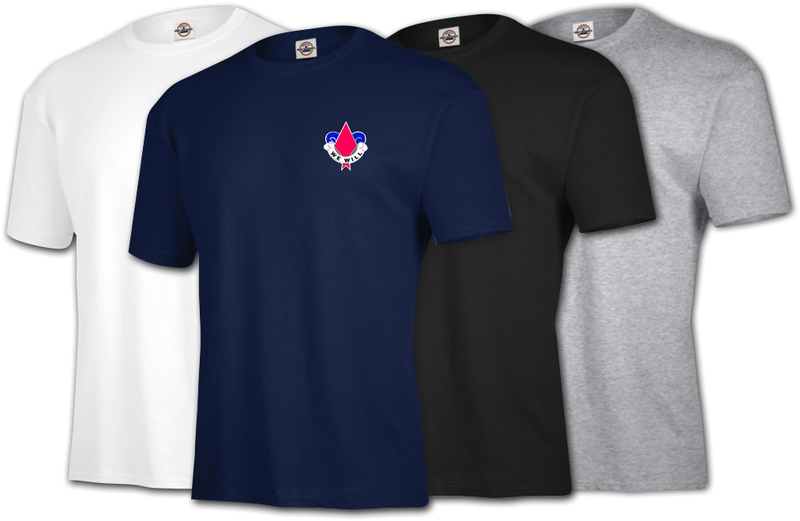 This 5th Infantry Division Unit Crest T-Shirt is made in the USA and custom embroidered with high quality Rapos thread. Each T-shirt is made with 5.2 oz pre-shrunk 100% cotton, a seamless rib knit collar, reinforced neck and shoulder seams, and long set-in sleeves with rib knit cuffs. Quality is guaranteed.